Impress your guests with this delicious salad that takes minutes to make or enjoy it on a weekday for lunch or as a dinner side...a few bites makes a scrumptious snack as well! I love fresh mozzarella and picked some up at Whole Foods the other day along with some marinated mixed olives that were calling my name. Whipped this up in a few minutes last night as a side with dinner and it was amazingly delicious! 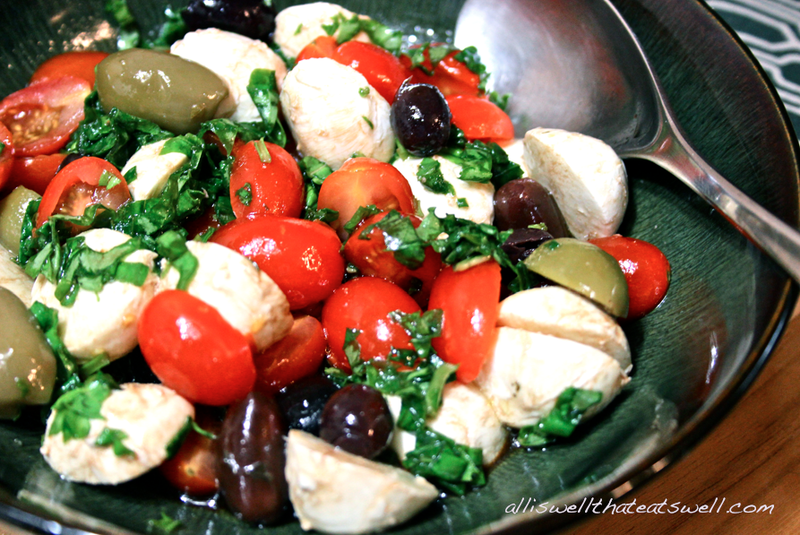 Just combine all ingredients, grab a fork and get ready for some Mediterranean deliciousness!